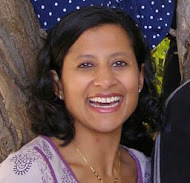 Shanti Gangadharan was born in Denver, Colorado and received her Bachelors of Science in Electrical Engineering from Purdue University. Her time is split between being a mom, wife, to my family and business development manager for ClientSolv Technologies. Shanti’s story begins with her father’s journey to the United States in hopes to create a better life for him and his family, the beginning of every immigrant’s story. However, when her father’s journey took a sad turn and he lost his ability to seek and provide a better life for his family, her grandparents and her mother were given the responsibility to continue that dream and create a life for her family. Shanti takes you on a journey of the wisdom that lived under one single roof, how she was inspired, transformed, and molded into who she is today. She will encourage you to intentionally pass along the wisdom and culture of your own family.